October 12, 2016 | ProgressTH We are going to be participating in an upcoming event at FabCafe Bangkok called Farm Hack where we'll be partnering together with farmers to explore and develop possible solutions to improve both the technical aspects of farming as well as improving direct access to markets. Until then, we'd like to share an interesting network growing in North America centered around the efforts of urban farmer Curtis Stone. Curtis himself learned on his own the hard way the ups and downs, ins and outs of farming. 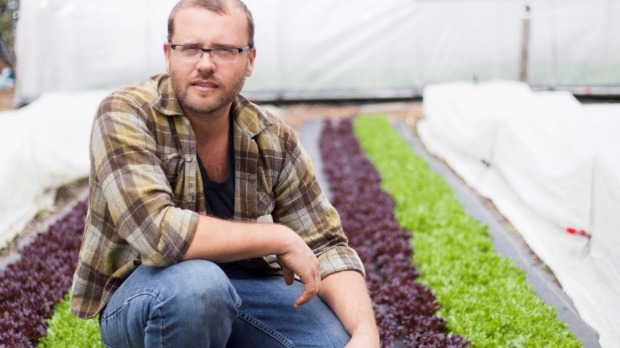 Today, he runs a highly successful operation as well as conducts online courses and live workshops to pass his knowledge and experience on to other aspiring urban farmers. His videos are excellent so it's probably best to let Curtis himself explain (below). And on his YouTube channel, there are many, many more. When you see other people successfully building their own alternatives, especially regarding something as important and essential as local food production, it is as inspiring as it is assuring. You can do it too. Curtis not only has his own successful urban farming operation, but he is cultivating an intelligent, highly resourceful, and collaborative urban farming network. We see networks like this popping up here in Thailand as well and not only in regards to organic farming, but also in regards to the maker community and alternative energy. There is no better time to get involved in a similar network near you. If you don't have one, make one, just like Curtis is doing.